“It’s all coming back to me now…” I have had six dogs in my life since growing up, two of them were Sheltie’s. My daughter basically grew up with Shelties, it wasn’t until our rescue Nishka that she experienced life with a different breed. When she decided to actively pursue getting a dog she decided to go with what she was familiar with and got Rupert. For me, it’s been about five years since we lost our Piper to Cushing’s Disease. When I spend time with my Grand Puppy I sometimes find when I see him out of the corner of my eye or hear his bark, that I forget that she is gone, for a split second he becomes her. It is fascinating to me how inherent certain characteristics are in a breed. As well, it amazes me the things I have sort of forgotten that distinguish their kind or maybe it’s just that our dog Lucas is so different I am used to his idiosyncrasies and peculiarities. Last week when I was hanging out with Rupert I was reminded how shy Shelties are, that they really struggle with strangers and other dogs. Often when people see the miniaturized version of a Lassie dog they just can’t help themselves, their first instinct is to try and pet the cute little thing. What people don’t realize is how introverted these dogs really are and how uncomfortable they are with the unknown. You can socialize them, you can take them to classes, but when it comes down to it, it’s nature versus nurture, Shelties are reticent in new situations and with people that aren’t in their inner circle. It seems cruel that something so sweet and lovable looking, is so painfully shy. Then there is the other less attractive traits, which can often turn off the most avid of dog lovers, when it comes to barking, they are champions at it! If it has wheels or is moving too fast, a Shelties herding instinct takes over, they have to slow it down! And when it comes to activity level, the energizer bunny has nothing on these dogs, if not properly exercised they will drive you around the bend! After a week with Rupert I remembered what I love about the breed and what I can appreciate about my senior boy Lucas. 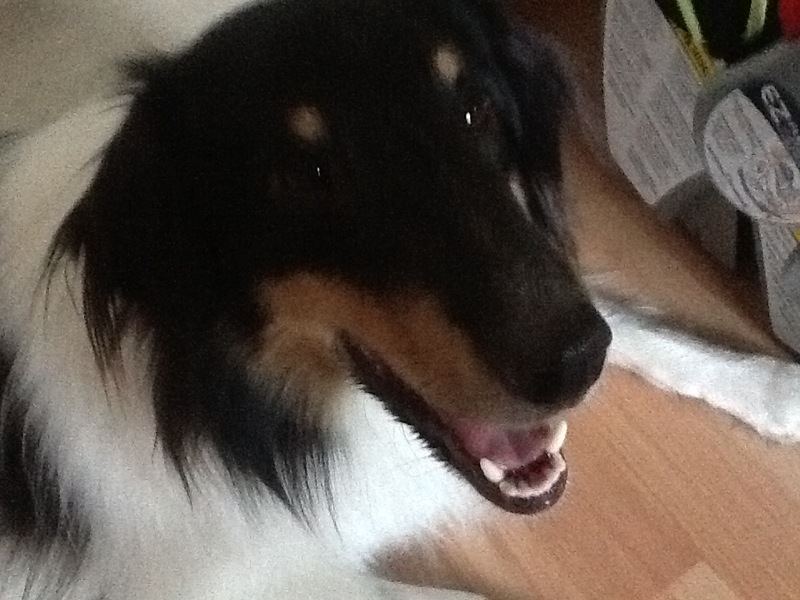 It has also made me think, will I return to life with the Shetland Sheepdog or will I venture to find another rescue? Hard to say, and I am in no rush to think about what lies ahead, I have Rupert to come and visit now and then. A reminder of my former companions and a current friend to enjoy!